A welcoming soup on a cold winter’s day! 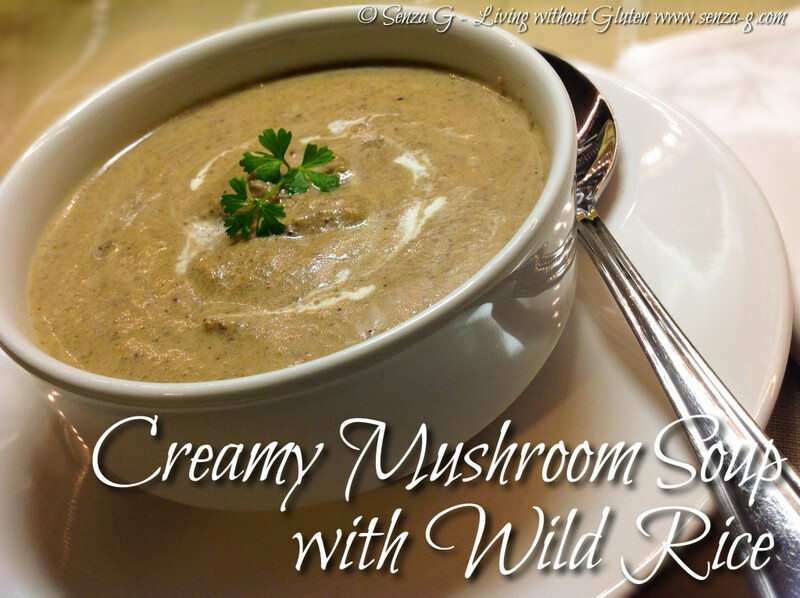 I made this with fresh mushrooms but also added some dried porcini to deepen flavors. These are not soaked but are ground instead. A good trick to use even when making a mushroom risotto! Also the wild rice adds an interesting texture. Put the dried porcini in a coffee grinder and process until they are powdered. Sauté the onions, leek, celery, potato and carrot for a few minutes in a large pot, stirring often. Add the mushrooms and sauté with the minced garlic until the mushrooms start to soften. Sprinkle in the gluten free flour and cook for a minute, mixing it in. Pour in the sherry or wine, the stock, the powdered porcini, the thyme, salt and pepper. Bring up to a boil and then simmer for about 30 minutes until the potato is soft. Blend the soup, in batches, in a food processor. Pour back into the pan and add the cream. Reheat the soup, and then check the seasonings. Before serving, add the boiled wild rice and the extra cooked sliced mushrooms. Simmer until the rice and mushrooms are heated through. Serve with a drizzle of cream and garnish with parsley.